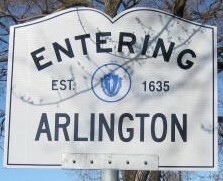 Using your favorite email program, compose your message and then send it to the address arlington@arlingtonlist.org. The message should be listed as being sent from an address that is subscribed to the list, and name the list as one of its recipients (no BCC to the list). The message should have an appropriate subject. Many people find it helpful to create an entry in their address book for this address. If you accidentally send it to another address at arlingtonlist.org, it may end up in my mailbox (also possibly my spam box, where I might not see it), and I'll write back to you with a fairly impersonal message letting you know. Please don't take it personally! Unfortunately, once the message has arrived in my mailbox, I can't cause it to be delivered to the list short of forwarding it, which would make it come from me instead of you.